You need real work from home jobs. It’s doable. A lot more doable than even six months ago. Plus, Google just made things tons easier. You can find remote jobs now. In many cases it's simpler than getting in-person jobs. But don’t look the usual way. Why? Big companies hate stay-at-home jobs. (Startups love ‘em.) Sadly, big firms dominate the search results. Once you know how to look, you’re in. How to work from home without a lot of “website tester” BS. 62 great legitimate work-from-home jobs, organized by skill set. How to find thousands of real home-based jobs that pay well. The best job site to find online jobs and home-based jobs yourself. Just want to know how to find work from home jobs? Type “remote” + [JOB TITLE] + “jobs” in Google. Click “search.” Then click the blue jobs bar. You’ll find part-time, full-time, or side jobs just waiting for you! Median salary info for our work-from-home jobs list comes from Glassdoor.com. Don’t let it scare you. Many make less, but the committed earn lots more. What is a remote job? A remote job is a work-from-home job or stay-at-home job. They’re different words for not working in an office. You’ll find the best work-from-home jobs list ever in the next section. How do you get work from home jobs? Don’t use Indeed, Monster, LinkedIn, Glassdoor, or any of the other best job sites. I love those sites (for different reasons). But Google for Jobs is the only site to use for legit remote jobs. Google’s got the AI muscle. It knows what you’re looking for. It scrapes jobs from all the other sites, and even from company pages. And boy does it deliver. At the top, you’ll see a big blue bar. You’ve got hundreds—maybe thousands of legitimate work-from-home jobs. You need to find a good one, fast, amid the zillions of results. I’ll help, after the list of stay at home jobs titles below. ***How many US workers work from home? About a third, according to a massive Gallup study. Pro Tip: Don’t just search “remote jobs” in Google for Jobs. Try variations like “home based jobs” and “work from home jobs” too. The 62 best legitimate work-from-home jobs on Earth. Plus, they pay well. It’s daunting. How do you find real remote jobs? Good ones that don’t vanish when you blink? Look below our list to find great remote jobs tips to get hired fast. Have you got teaching skills? Or can you get some? Then you can make good money in teacher work-from-home jobs. Computer science has the most money and fastest growing list of work-from-home jobs. The big firms don’t like employees working from home, but “small” ones love it. All InVision’s 700 employees work remotely. You can find turnkey remote engineer jobs too. If you’re not an engineer, but you’ve got the DaVinci mind, consider working as an assistant. They need less schooling but can work up through the ranks. Pro Tip: Search lots of work-from-home jobs titles variations. Programmer, software engineer, developer, and cloud expert are all legitimate work from home jobs titles. Got talent? Awesome. Use your passion to feed your heart and wallet. Plenty of smallish companies thrive on remote teams. Join one with the work-from-home jobs search techniques shown below the list. Got skills with a keyboard? You can work from home and make a decent living with a little elbow grease. I support a family of four in an economically depressed area, working from home as a writer. My other option would be Lowe’s, making a third as much for more hours. The catch? It’s hard to find good remote writer jobs. You need to hunt. I’ll show you how to hunt successfully below the list. Smart teams know the best people aren’t always local. Hunt for these legitimate work-from-home jobs online by typing “remote” or “home based” in the location box. Pro Tip: Networking can help you learn how to work from home online. I met a job-seeker who found a $100,000 job with a networking job search. There’s no reason you can’t do it too. You’re probably selling yourself short if you go for typist online jobs. If you can type, you can probably do lots more. Can you also write? Do research? Come up with ideas? Those kinds of stay-at-home jobs pay more than at-home typist jobs. No? Then try these typing-only full and part-time work-from-home jobs below. You can actually make decent $$$ as a help desk specialist. Is it fun? But it’s money, and they’re stay-at-home jobs, and there’s lots of them. Are you a super-sleuth? Do you looove digging for the truth online? Researching burns your eyes out, but it’s fun and pays pretty well. 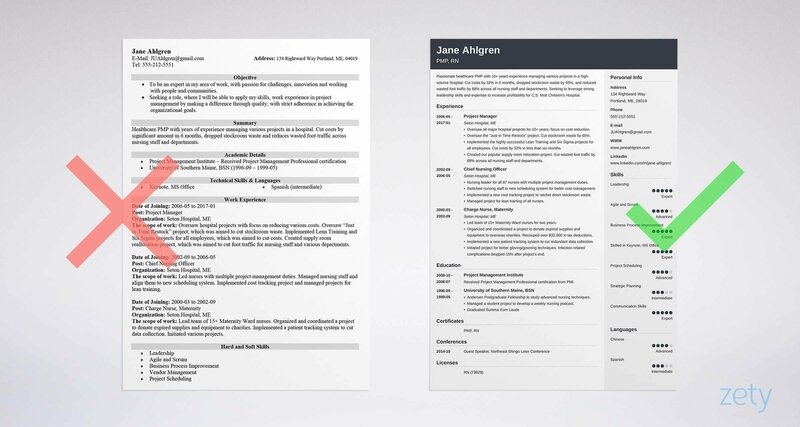 You’ll need a solid research resume to get these online jobs from home. Pick a specialty like legal research, UX research, or healthcare researcher. Pro Tip: Pay close attention to median salary. But if you’re really passionate about a job title, don’t run from it because of low pay. You can find someone to pay you a lot more if you’re good. If you’ve got the skills—and dare I say CPA license?—you can find good work-from-home jobs in the numbers world. As with other searches, your best bet is googling “remote accountant jobs.” Then click the big blue bar. Have you got a nose for figures? Then you can find some really high-paying jobs from home. Some of these analyst work-online jobs need a lot of schooling (like “financial analyst”). Others, hardly any. Can you find healthcare work-from-home jobs? Absolutely. In fact, remote jobs in healthcare get more common every day. Most of these stay-at-home jobs require licensing. Here’s a few remote jobs that don’t fit an easy category. Some pay better. Amazon Work From Home Jobs. The online retail giant is always hiring. Just type “Amazon work from home jobs” or “remote Amazon” jobs in the Google jobs search box. Is That Really All the Work-From-Home Jobs? There are tons more than just 62 legitimate work-from-home jobs. You can do any job working from home. Just do a Google search for “remote” + [YOUR CAREER] + jobs. Then click the big blue bar. Pro Tip: Remote jobs pay less, especially at first. But once they learn you’re a good employee, you can expect big raises. Many remote workers just aren’t worth a hoot. You’ve got a list of 62 of the best work-from-home jobs on the planet. You’re rich, right? You can’t even find legitimate remote jobs because all the lists online are just job titles. A job title is not a job. Even using my hack to find work-at-home jobs in Google won’t get you hired. You know what it’ll get you? A headache—unless you know how to shave down the options. You’ve got to kiss a lot of online jobs before you find a prince. Get your resume in order. Make a template you can tailor quickly to fit hundreds of remote jobs listings. Don’t apply to every job. Google the company. Check their website to see if they’re legit. Do a Google news search on them. Are they cool? Go get ‘em. Be picky. There’s tons of work-at-home jobs out there. Don’t take one just because you can. Scrutinize the pay and workload like your life depends on it. BE PICKY. Before I worked for Zety, I applied to 150 writing stay at home jobs. About 50 emailed me. I worked for 30, one day each. Zety was the one that really clicked. Pro Tip: Still can’t find work-from-home jobs that fit you? Consider getting trained. You can train for many online jobs—well, online. Try free Codecademy classes for tech work. Get inspiration from the list of stay-at-home jobs in this article. Then use your thesaurus skills to try plenty of variations. Be picky. Apply to lots of work at home jobs. Then work for several of them for a short time each. Find the team you love, and stick. Don’t run from legitimate work from home jobs because of low median pay. If you’re solid, you’ll make more than the median. Do you have questions on how to find the best jobs you can do from home? Not sure how to start the work online jobs search? Give us a shout in the comments! We’d be happy to reply.